Note from Mamta : This is the type of curry sauce sold in Chinese takeaways. People often buy it with potato chips or French fries. It can also be eaten with rice. The recipe comes from a friend who used to own and run several Chinese takeaways and is an excellent cook. Mix curry powder and flour in a bowl and keep aside, dry. 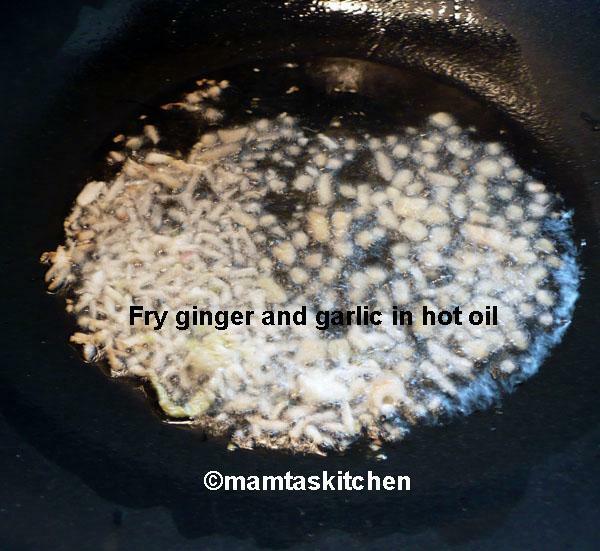 Add ginger and garlic, and onions if used. Stir fry, until lightly browned and their aroma rises. 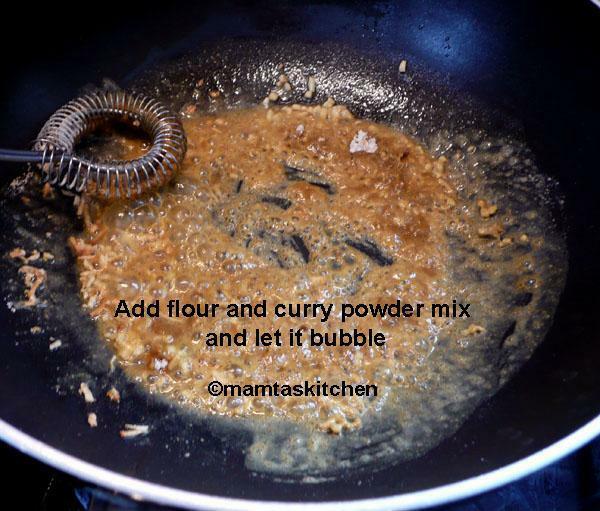 Add flour and curry powder mix and allow it to bubble for 20-30 seconds. If you leave it too long, the flour will burn resulting in a bitter sauce. 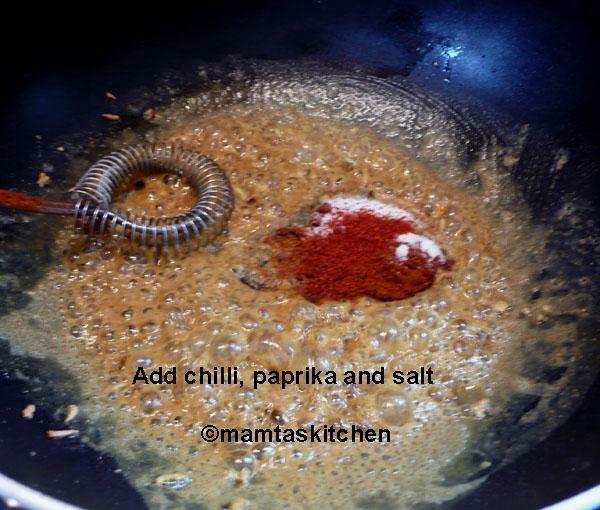 Add salt, paprika and chilli powder to the bubbling mix and stir for a few seconds. 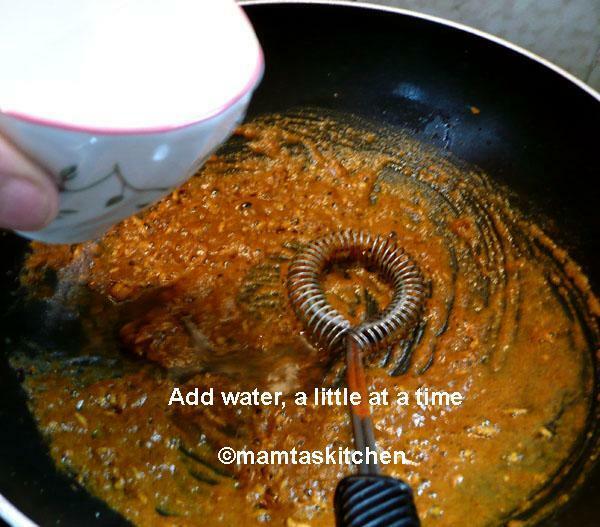 Add enough water, a little at a time, stirring all the while, just enough to get sauce consistency. 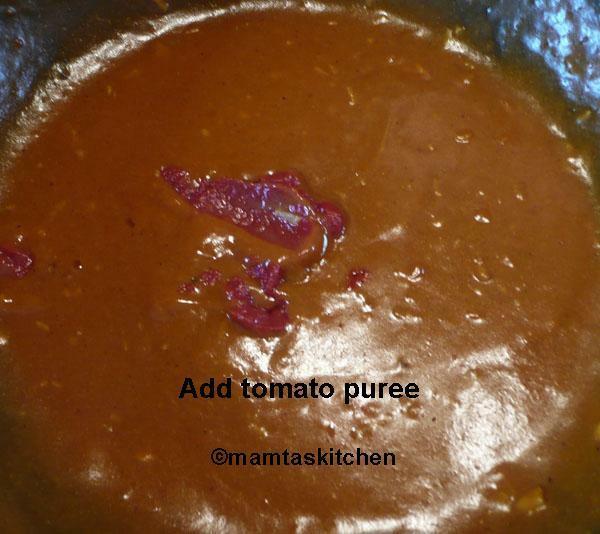 Add tomato purée, adjust seasoning and bring to boil, then simmer briskly for a few minutes. Turn the heat off. This is the basic curry sauce like the one made by 'take-away' shop. People generally buy it with chips/French fries, as a dipping sauce. You can also use it to make take-away style curries. When you are ready to cook a curry like chicken, prawn, pork or boiled potato curry, heat 1 tbsp. oil in a wok, stir-fry the chicken/prawns/meat/potatoes and add the curry paste. Continue to stir-fry for a few minutes. Add a little water, if you want more gravy to suit your like. 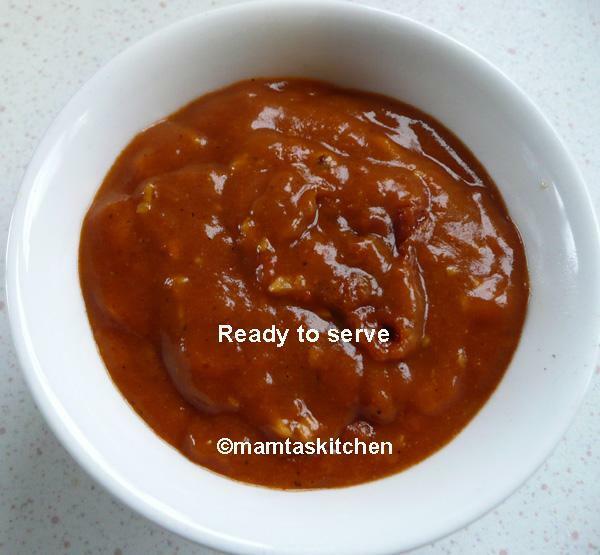 This sauce can also be served hot with rice or noodles. You can add any of the following; fried onion slices, cooked carrot slices, pineapple chunks, peas, beans etc. 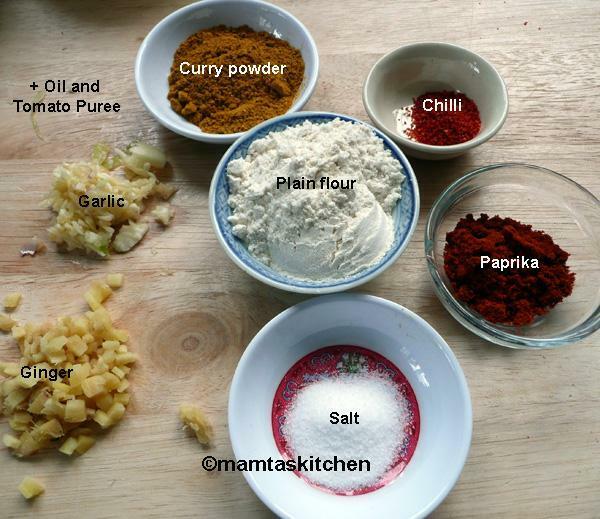 One of our readers 'Topconker' recommends using 1 teaspoon Bolst's hot curry powder instead of Madras Curry powder.